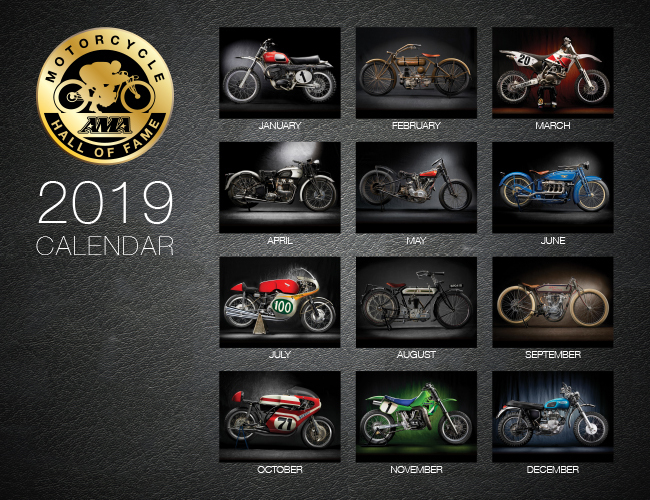 The 2019 AMA Motorcycle Hall of Fame calendar is now available for purchase. The calendar is selling for $20, and the pages features the photos and histories motorcycles that have been on display in the AMA Motorcycle Hall of Fame. All proceeds go to helping the Hall of Fame continue its mission of celebrating and preserving the history of motorcycling in America.